When it comes to information pertaining to looking after your skin, features focused on dark skin are somewhat lacking. And when they do exist, it’s not often that they are by professionals. So when Somerset West’s Bianca Venter opted for a makeover on KykNet’s Mooimark, met Clare Wiese-Wentzel, she opened the door for information on this topic be shared. Those in the know will tell you that South Africa’s Skin Renewal is revered for having the best treatments. In fact, they have treated thousands of dark-skinned women and fine-tuned their methods to perfection. Bianca’s treatment during the show, which was led by Dr André Truter, focused on her struggle with acne and post-inflammatory hyper-pigmentation. Through focused internal and external treatments, the team managed to reduce inflammation and improve her acne and subsequent lesions. These are benign growths that occur frequently in African skin due to photoageing. DPN, a cluster of small seborrheic keratosis, is prominently located on the face, neck and upper trunk of both African men and women. 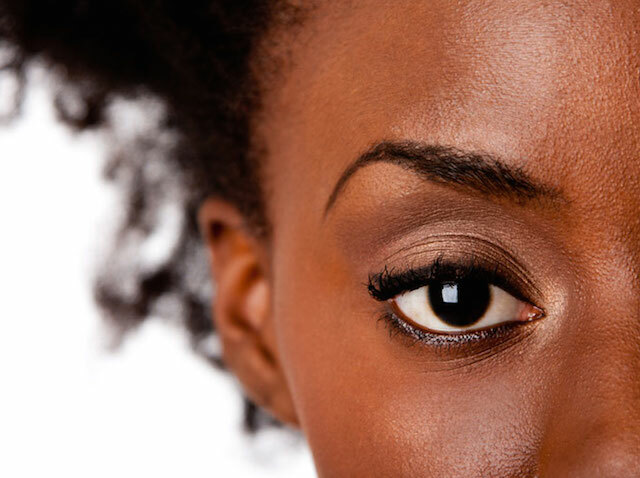 People with darker skin tones are prone to hyper-pigmentation, or dark spots. These spots are caused by an insult to deeply pigmented skin, such as acne, a cut, or a disorder such as psoriasis. Also known as hormonal pigmentation, Melasma is a considerable problem for South African women especially in darker skin types. It is a chronic skin condition that occurs on the face in the form of brown patches and is a dynamic (active) condition that needs lifelong management. Acne vulgaris, the most common skin disorder, affects virtually all individuals in all nationalities at least once. In dark skin types, the biggest challenge is avoiding scars or marks from things such as acne and chicken pox that last for life as the pigment is so hyper-sensitive. Well, first you need to determine which problem affects you. To do this, visit one of the many Skin Renewal branches located around the country for a consultation. Following that, each patient will be given a fully-customised solution dependant on the patient’s age, relevant skin problem and skin type, budget and expectations. If the above recommendations and treatments are followed, virtually any patient can be a candidate for improvement of their acne, acne pigmentation and scarring. And there you thought you were going to have to deal with those blemishes all your life.